Luv Inspired is a Toronto based jewelry company that creates unique pendants, rings, earrings, bracelets and many other accessories. This company has a gorgeous equestrian collection that is always getting better and better and this Summer's collection is the real proof of what I have just said! The collection reflects our passion for horses and allows us to keep classic looks, I am very impressed so today I decided to, finally, show you my favourite items! I think these are very special and they are custom made. I even think that you can contact them if you want a different breed. This is the necklace! 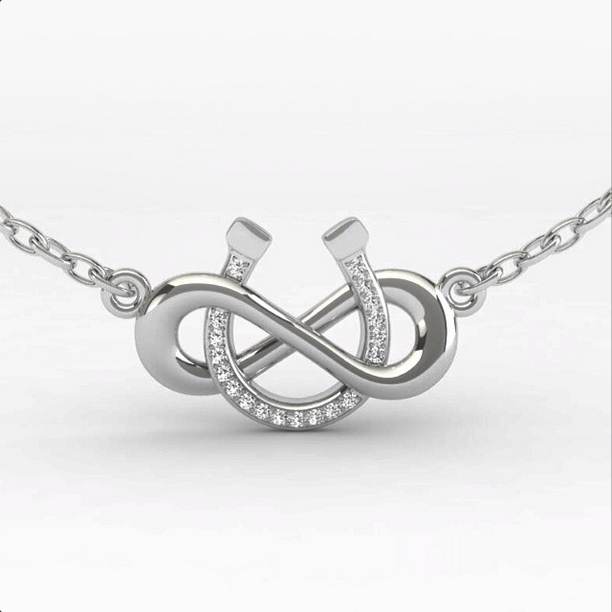 It is the most perfect necklace I have ever seen and it is on the top of my wishlist. 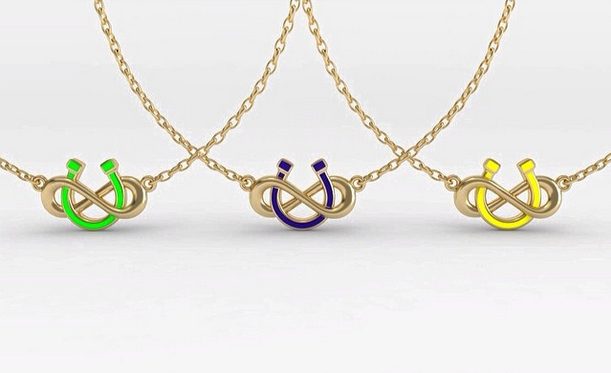 The gold necklaces scream Summer, my favourites are the navy and the green. Which would you choose? 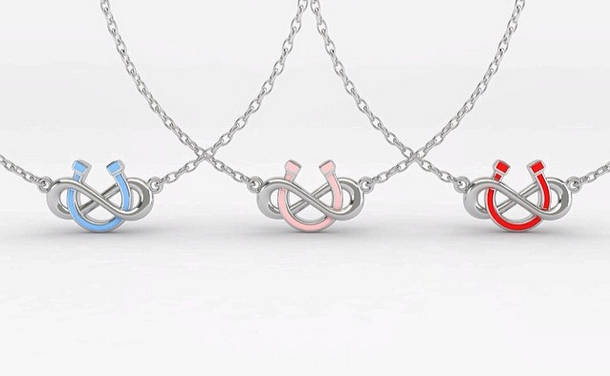 The silver necklaces are more discrete but still very cute, I would choose the ones with the blue and the pink horseshoes. 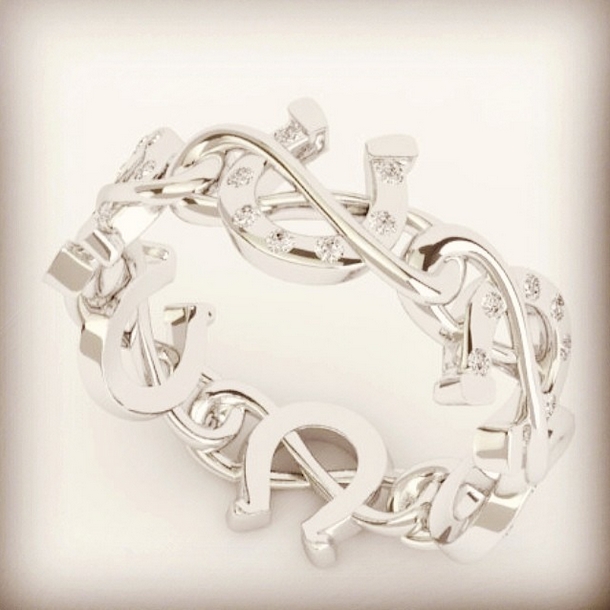 I think I would prefer the Infinite Luck with Diamonds though. You can get some of these pieces on their website (here) but if you can't find them, you need to email Luv Inspired to order.